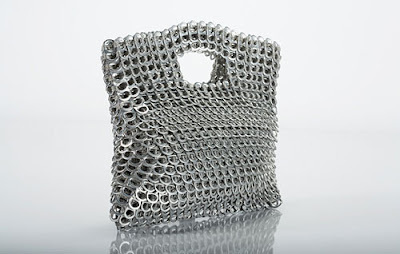 I'm not a handbag man, nor a fashionasta, don't get me wrong, but I think this is cool. 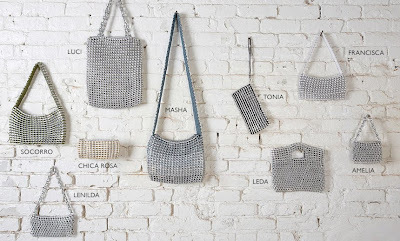 Handbags made from pull-tabs or pop-tops as they call it. A cooperative of women in Brazil is producing this great stuff, real recycled fashion. They also have an amazing website where you can see which person actually created your bag, as her name is on the hang tag inside the bag. The cooperative provides a basic income to people in the community through the production of these handicrafts. In a setting where they can make friends and regain self-esteem. Nice!